Progress has been fairly slow lately. Things should speed up again, as I'm about to commence an indefinite "mid career break". 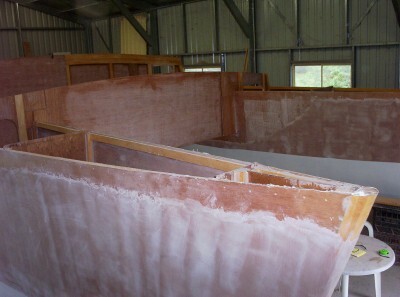 Three of the four bulkheads joining the hulls are now completed. We're also doing the glass strengthening underneath the floorboards.